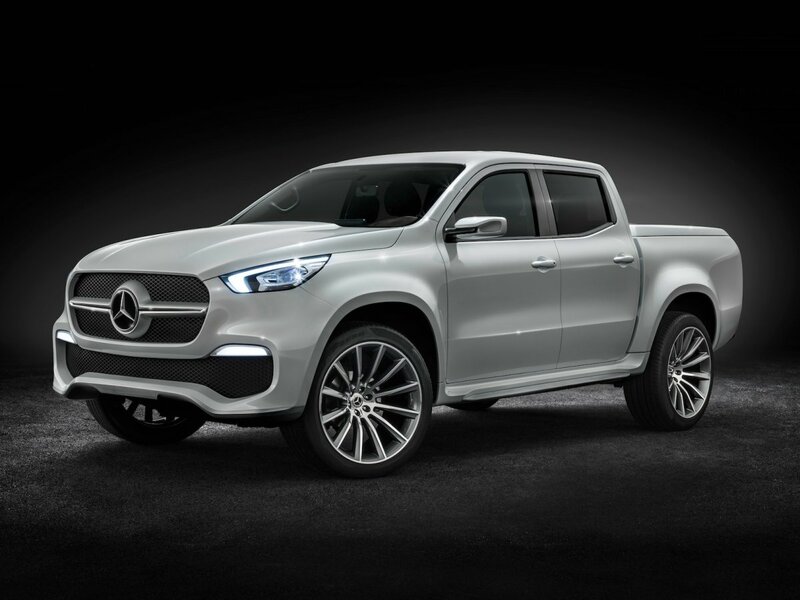 The Mercedes-Benz X-Class is expected to come to market late in 2017 ― likely as a 2018 model year product ― with key markets being Australia, Argentina, Brazil, Europe and South Africa. There’s no mention yet of its being marketed in the US, probably because it’s based on the Nissan Navara (the mid-sized pickup sold as the Frontier in the Americas), whose smaller size doesn’t seem as attractive to North American consumers. It will be built at the Nissan plant in Barcelona, initially, for Europe, South Africa and Australia, and then out of Argentina for the South American markets in 2018. 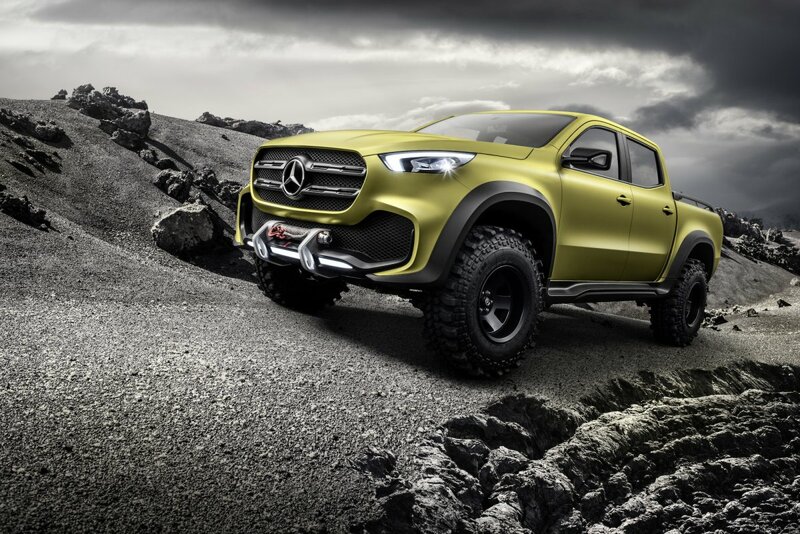 Two concepts were shown at the debut ― a rugged off-roader and a more stylish boulevard cruiser ― and although they had the futuristic design cues of concepts, the front ends, pickup bed sizes and 4-door, 5-seat cabins are pretty much set for production. Details are still a little up in the air, but Mercedes did reveal that they would be powered by 6-cylinder engines and equipped with the Mercedes-Benz 4Matic permanent all-wheel drive system. 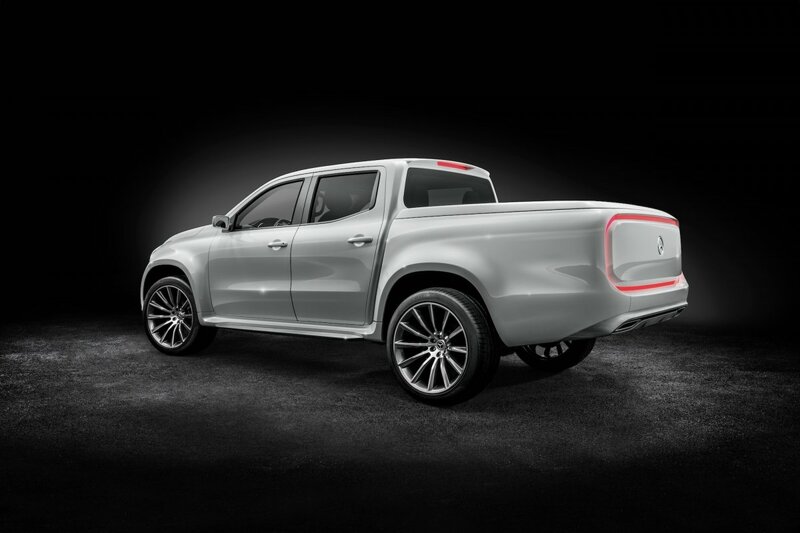 A ladder frame platform will endow the pickups with a payload rating of one tonne and a tow rating of 3.2 tonnes.